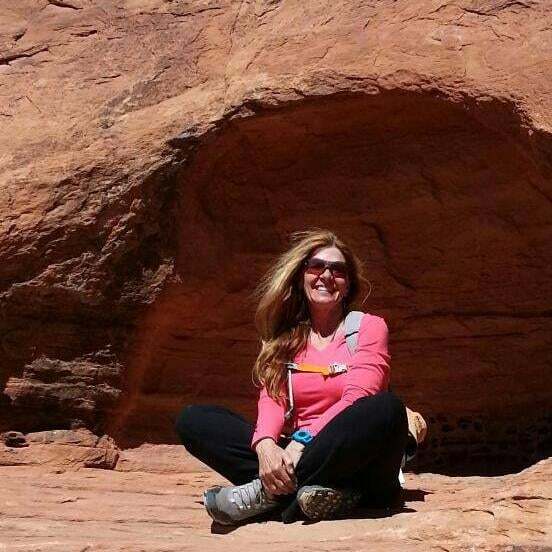 Sheri Hughes currently works as the Forest Service permit and lotteries coordinator/specialist for Recreation One Stop, known to most as recreation.gov. Sheri works virtually from her Central Idaho home in Challis, where she has deep 4th generation family roots. Sheri worked on the Middle Fork of the Salmon River for the Forest Service from 1980 until 2007 and had acting river manager duties on the Main Salmon for 7 years. As a result of her years working in and around Idaho’s guiding community and being an extreme extrovert, she has an extensive friend network of current and retired guides throughout the country. She is married to a 25 year retired river guide, Melvin Hughes. Her great uncle guided Ernest Hemingway on game hunts in the Pahsimeroi, and her mother worked for several years as a guide at Twin Peaks Ranch. Even without this family connection her passion for the welfare of Idaho’s guides is a priority as they make up a large portion of people she considers extended family. Patrick is a North Idaho native who came of age over the course of six years with Forest Service on the St. Joe, Clearwater, and Salmon Rivers. Somewhere between his first summer in the woods and the last of his twenties he obtained a bachelor’s degree in Philosophy and Writing from the University of Idaho, and a law degree from the University of California, Berkeley, at Boalt Hall. Patrick now lives in Boise, where he allocates his time among practicing law, his friends and family, and his endeavors to give back to the community from which he came. Growing up in Twin Falls Idaho, Nate began to learn the importance of rivers on the Snake River plain, a landscape both stark and poignantly beautiful. 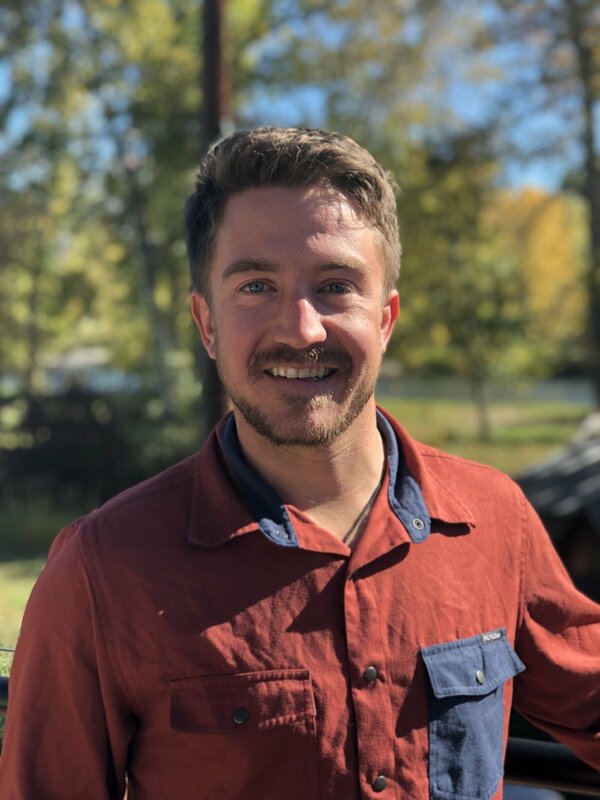 After graduating from Twin Falls High School he studied philosophy at Boise State University, spent years learning lessons in the mountains, and then attended Northern Arizona University to receive a Masters of Science in Applied Geospatial Sciences and Natural Resource Management. Through all of this Nate has guided on the Snake, Salmon, Middle Fork of the Salmon, and Jarbidge/Bruneau rivers for the past 14 years but mostly for Idaho River Journeys. Nate currently lives in Moscow, Idaho with his wife Nhi and works for the University of Idaho Outdoor Program. Nate's passion for guiding in Idaho is based on the hope and work put into valuing Idaho guides and ushering in a new generation that are as healthy, diverse, and strong as Idaho's free flowing rivers. Hannah grew up in Boise, Idaho, exploring Idaho's outdoors with her family in the summers. 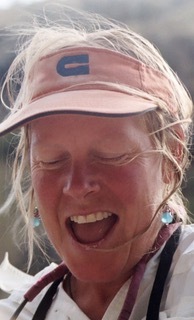 Her first rafting trip resulted in swimming a class IV rapid on the South Fork of the Payette. Far from scaring her away, that river-christening started a life-long love for river adventures. While working as a wild land firefighter for the Forest Service in Stanley, Idaho, Hannah was elected mayor at the age of 22. During her time in office, she developed a deep connection to Stanley and strong friendships in the guiding community. After completing her term as mayor, she moved to Bozeman, Montana and worked for the Greater Yellowstone Coalition advocating for wilderness and endangered species protections. While in Bozeman, she attended Montana State and completed a masters degree in public administration. Currently she lives in Ketchum, Idaho working in event planning and non-profit fundraising. She spends any free time she can in Stanley visiting her husband and playing in the mountains she loves. Serving together on the Redside board gives her and her husband, Jeremy, the opportunity to support their friends and employees in the guiding community that have meant so much to them. Matt was born in Gooding, Idaho and grew up on a sugar beet and potato farm north of Rupert. He went to Twin Falls High School and continued his education at the University of Idaho where he majored in Resource Recreation Land Management and minored in German. After University life, Matt fled to Saskatchewan Canada to tackle a family potato growing operation. After two years and one long Canadian winter washing and bagging potatoes, Matt decided that rafts were much more interesting than tractors. Matt first guided for Triangle C Ranch on the Middle Fork of the Salmon River in Stanley, Idaho. This started a long career of guiding and sparked some of the best friendships and events in his life. Matt has guided for Rocky Mountain River Tours, Triangle C Ranch, The River Company, Sevy Guide Service, Northwest River Company, Three Rivers Rafting, and Bighorn Outfitters as a hunting guide. A 4th generation Idaho native, Jenni grew up in Twin Falls and gained a love for the outdoors at an early age, thanks to her mom and dad. Many summers were spent camping in the Sawtooth Valley or fly-fishing at Henry’s Lake in Eastern Idaho. 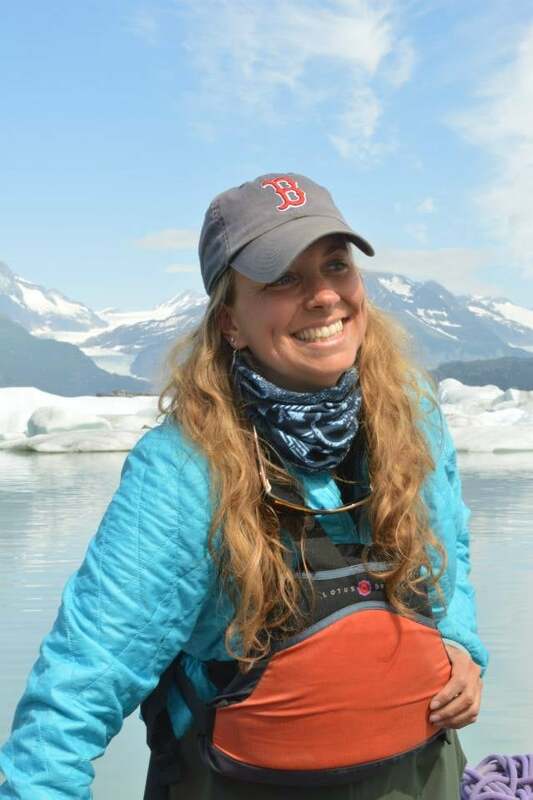 After graduating from high school, she moved to Moscow to continue her education at the University of Idaho where she graduated from the College of Natural Resources with a Conservation Social Science degree. While in college, she met Brian Chaffin who introduced her to whitewater rafting on Idaho’s rivers, truly the treasure of the Gem State. They married in July 2007 in Stanley, along the Salmon River. Jenni works as a purchaser for NRS, the Idaho-based manufacturer of whitewater rafts, equipment, and apparel and lives in Missoula, MT with Brian and their two malamutes, Jack and Koda. Although born in Cincinnati, OH, Brian is an Idaho boy at heart. He grew up dreaming of mountains and rivers, so in the fall of 2000, he packed up and moved West to pursue a degree in natural resources from the University of Idaho. He was quickly introduced to river guiding by a good friend from Salmon, and so he started guiding trips on the Middle Fork of the Salmon River in 2001. 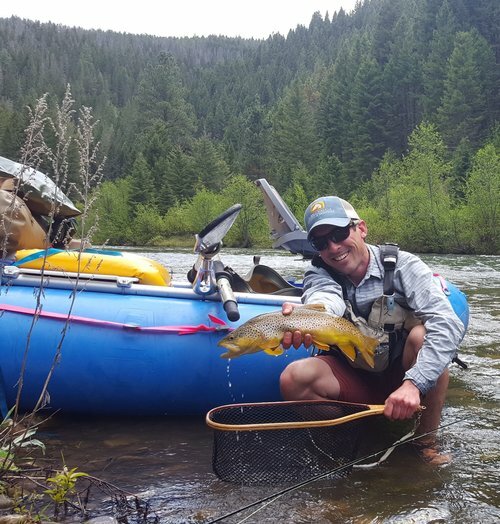 Since then, Brian graduated from UI, worked for NRS as a sales rep for the Southeast US and the Intermountain West, and worked as a river ranger for the USDA Forest Service on the Main Salmon River–all while continuing to guide at least a few trips each summer to stay connected to the community he loves. In July 2007, he married the love of his life, Jenni, along the banks of the Salmon River in Stanley, ID. In 2014, Brian completed a PhD in Geography at Oregon State University and is now a professor at the University of Montana. Pat grew up doing outdoor activities with her best friend's family in Idaho Falls, ID. She really learned to love the outdoors and knew she would rather spend her time there then anywhere when she worked summers in Island Park, ID, through high school. When she turned 41 and her 2 sons were out of high school she took a job with the Forest Service at Boundary Creek. There she met many guides who changed her life with their adventurous lifestyles and insight into life. It changed the pathway of her life and she went to school to get her Bachelors of Science in Nursing continuing to work at Boundary Creek for 5 seasons. Since then she has obtained her own raft and she began traveling, going on many adventures. She has been on 5 medical missions with Project Helping Hands to Bolivia, Peru, and Dominican Republic. She has been lucky enough to live in the Himalayas and in the Andes in the same year. She feels her summers at Boundary and having the opportunity to know the guide community helped her to have the life she now has. She feels fortunate to have been chosen to serve on the Redside Foundation Board and be able to give something back to that community. She is the Trauma Coordinator at Saint Alphonsus Regional Medical Center in Boise and hopes her medical capacity can contribute to the organization. Jeremy has been an avid hunter and fly-fisherman for over twenty-five years. Growing up in the small town of Bastrop, Texas, he spent every moment he could exploring the woods and river out his backdoor. At the age of ten he taught himself how to fly-fish with a Cabela's kid's fly-rod set and a how-to guide. He started as a rafting guide in 1999 for Triangle C Ranch based in Stanley, Idaho. In 2003, he became a guide turned outfitter, purchasing the company and changing the name to White Cloud Rafting Adventures and Headwaters Fly-Fishing. Jeremy is proud to serve on the Redside Board, sharing a position with his wife, Hannah Stauts. Their close connection to the Stanley and river communities drives their desire to further the Redside mission and support the health and well-being of Idaho's guides. Mickey Smith was born in Dallas, Texas where childhood trips out west made him fall in love with the mountains. Two Idaho river trips with his family left Mickey with dreams of being a river guide. While in college in Colorado, Mickey began guiding on the Arkansas River. That eventually led to seasons on the Lochsa, multi day river trips on the Main and Middle Fork of the Salmon, and a season abroad. While guiding rivers, Mickey was also a student. After graduate school, he became a math and stats teacher at the University of Montana. Mickey is now a financial advisor at Merrill Lynch in Missoula, Montana. He assists Redside with the financial helpline educating other Idaho guides on financial health. Being a part of the Redside Foundation allows him to remain an active member of the guiding community and support all the hard working guides who allow people to experience the mountains and rivers we all love. Kelsey grew up on the rivers of Oregon and Idaho as the daughter of a multi-generational river outfitting family. She was raised learning the whole business, both on the river and in the office. A fourth generation river outfitter, her family legacy began in 1922 with her great granddad Prince on the McKenzie River in Oregon. Kelsey went to the College of Forestry at Oregon State University graduating from OSU with a degree in Forestry Recreation Resource Management and minor in Cultural and Geologic Studies of the Pacific Northwest. After graduation, Kelsey spent a number of winters on the slopes in Park City before transitioning into a more key role with her family’s outfitting company. She is now the managing owner, partnered with her dad, and working along side her husband as they continue to grown and expand the family business running rivers including the Middle Fork of the Salmon and Lower Main Salmon rivers in Idaho along with the Rogue, McKenzie and Owyhee rivers in Oregon. .
Kelsey is married to Kidd Youren, an Idaho hunting outfitter who was also raised in an outfitting family; a very unique upbringing that they quickly connected over. She and Kidd were married in 2013 and have recently bought a ranch in Salmon, Idaho where they are proud to now call Salmon their home. In 2017 they welcomed their first child, Fallon Elery Helfrich-Youren, who shares a middle name with her Great-Great-Grandad Prince and is a sixth generation Youren cattle rancher with her own small herd. Kelsey is involved with The Redside Foundation because she believes Redside serves an invaluable role in our guiding community and offers life changing and life saving opportunities to this great community. She is very proud to be a part of the Redside board and excited to do her part in supporting the work being done for Idaho guides. Emerald is Idaho born and raised and has been a guide on the Middle Fork, Main and Lower Salmon River as well as Hells Canyon of the Snake. She holds an Environmental Studies and Non-Profit Administration degree from the University of Montana. In addition to her non-profit experience and guiding experience she has a background in freelance writing, media management and community organization. Emerald was hired as the Redside Foundation's Executive Director in November 2016. She lives in Salmon, Idaho with her partner and dog. Born and raised in Northern Idaho Brhe went on her first whitewater rafting trip at age 7. Falling in love with the river, Brhe dreamed of being a guide on Idaho's rivers. Brhe starting guiding on the Salmon River in 2000 after her first year of college. Brhe met her now husband Jamie at a guide party that same summer. Brhe and Jamie were married June 2013 on a sandy Salmon River beach and now have a son, Fisher. Continuing to guide throughout college Brhe completed her Bachelor Degree at Boise State University and later her Master's Degree in Clinical Counseling from Northwest Nazarene University. Currently, Brhe is a Licensed Clinical Professional Counselor working in the Boise area. In addition to her counseling practice Brhe is the case manger for the Redside Foundation Guide Helpline. Jane Evans is the mother of Telly Scott Evans, who we honor through the Redside Foundation and Scholarship Fund. She is a native of Minnesota, but has spent most of her lifetime in Idaho. Jane loves the Idaho outdoors and enjoys fly-fishing, skiing, biking, and spending time on rivers camping and rafting with her son Kobe. She is an avid hiker of Idaho’s mountains especially in the Boise foothills where she resides. Jane has a Masters in Education and after ending her teaching career at Boise State University, in 1998, has owned and operated Eastgate Management.